Jackson Dual Immersion Teacher Wins "Oscars Of Teaching"
The room erupts in deafening cheers and applause as second-grade dual-immersion teacher Chris Bessonette tries to process what's just happened-he is a Milken Educator, and there's a huge $25,000 check at the front of the room with his name on it. 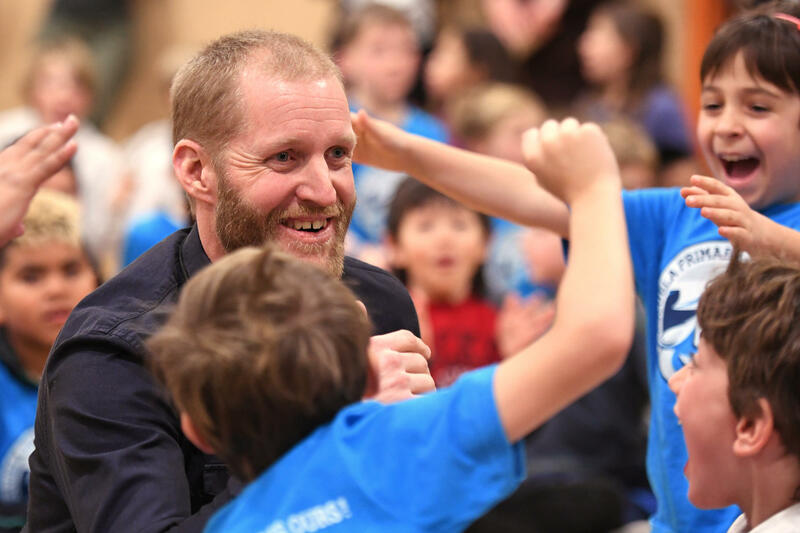 A Jackson second grade teacher won the Milken Educator Award. It's the second year in a row that a Wyoming teacher has received one of the 40 national awards, which comes with an unrestricted cash prize of $25,000. Chris Bessonette teaches dual immersion at Munger Mountain Elementary School in Jackson. Children in the program speak Spanish for half a day and English the other half. Bessonette said this immersion is more than learning to read and write. "It's learning how to interact to different people," said Bessonette. "It's learning how to communicate in more than one way." While teaching is important, Bessonette said it's also important to keep track of the kid's actual test results. "I think digging into that information is always helpful to say, 'Ok, they act like they were interested in what was happening, but did they really truly understand?' and that's what we're hoping to do is to truly understand whatever concept were trying to teach them," said Bessonette. He focuses on this type of data to help expand the dual immersion program. Last year, a middle school physical education teacher in Thermopolis won the award. Before that, the last time the award was received by a Wyoming teacher was in 2008. When we think about whether our public schools are performing well, there's a tendency to get hung up on test scores. But a new tool will help educators, parents and communities to take a more nuanced look at education. The Wyoming Department of Education is starting off 2019 with a new chief policy officer. But Kari Eakins is no stranger to K-12 education in the state. Before stepping into her new role, Eakins served as the WDE's communications director for close to four years. Federal lawmakers are pushing to bankroll the Secure Rural Schools Act before Congress gavels out for the year. That money can be a lifeline for districts across our region that are surrounded by untaxable public land. The Wyoming legislature's Joint Education Committee received an update Tuesday from the University of Wyoming concerning efforts to better prepare teachers for the state's classrooms. 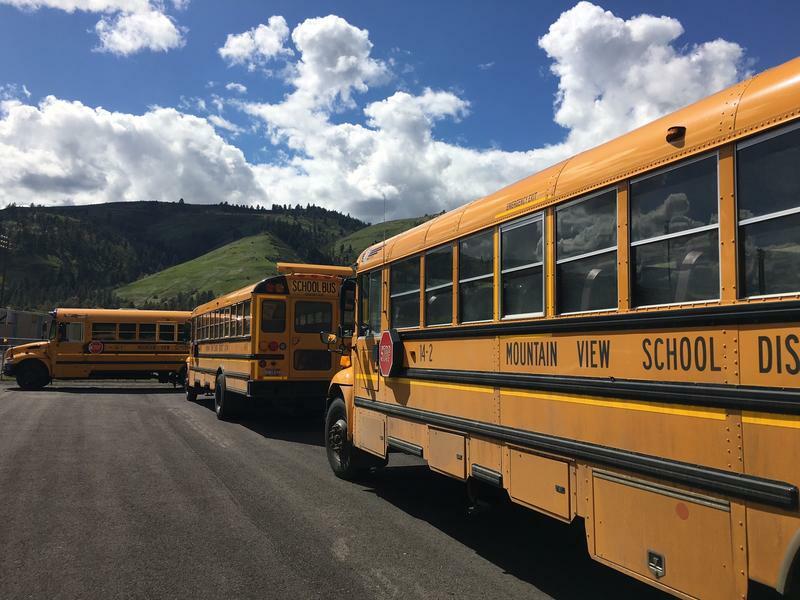 State-funded pre-k is coming up in the Mountain West. More states than ever are funding programs across the country. But of the handful that don't, three are in our region.